Monica Hare is a student about to begin her senior year at the University of Pittsburgh and is pursuing a degree in Marketing. She is originally from Dillsburg, Pennsylvania, but has fallen in love with the city of Pittsburgh and plans to stick around after graduation. Aside from her studies, Monica is Treasurer of Pitt’s CHAARG chapter, which is a health and fitness club for college-aged women. Monica first discovered her passion for event planning during her time as an event server for a local event planning company. Watching all the little details come together to create one spectacular event is one of the main reasons she loves this industry! The memories that are made at these events inspire her to make each client’s experience a truly unforgettable one. In her free time, Monica loves to go for long runs in warm summer weather, read books, and practice yoga. She ran the half marathon in May and completes as many 5k’s as she can fit into one summer! Of all the things she’s looking forward to in this internship position, she is most excited to explore all the different venues that Pittsburgh has to offer. Is it possible to plan, promote and implement two events in only three weeks? If you’re willing to work hard and guzzle cup after cup of iced coffee, it most surely is possible. How would I know? Well, I pulled it off this summer when I was given the chance to plan two events for the Brentwood Library. The first event that I planned for the library was a murder mystery party for adults. After reading tons of murder mystery game descriptions, I finally selected a western themed mystery kit. I coordinated all of the décor around the theme. 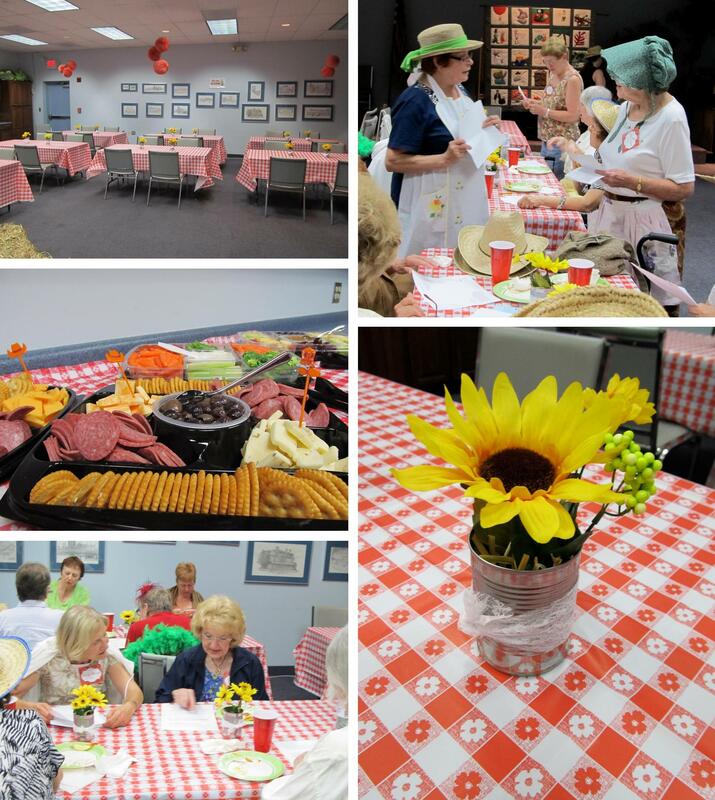 Small details like bandana printed lanterns, western hat and cowboy boot picks, bales of hay and sunflower centerpieces served as a cost-effective way to create a fun, western atmosphere. Attendees spent the evening enjoying munchies as they tried to solve the murder mystery. 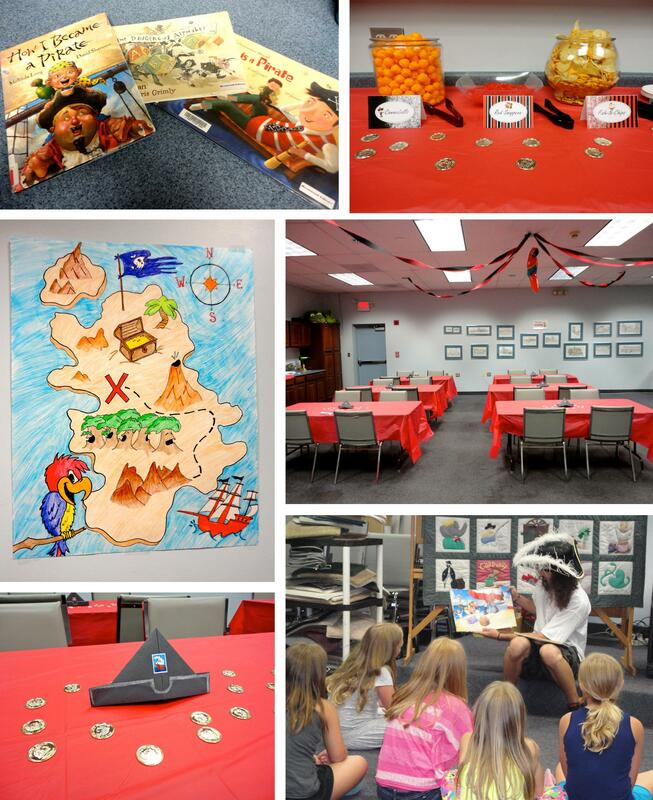 The second event that I organized was a pirate slumber party for children entering grades 3-5. Gold coins, hand-made pirate hat centerpieces and themed food labels brought the pirate theme to life. Some of the night’s activities included going on a book hunt, meeting a pirate, watching themed movies and creating pirate hats. However, I can’t take all of the credit for making the event such a success. It wouldn’t have been possible if Pizza Hut, Bruegger’s Bagels and Panera Bread hadn’t donated tons of delicious food. There’s no doubt that the children’s faces lit up when they saw stacks of pizza at dinner and trays of baked goods and bagels lined up at breakfast. Even though planning both events was stressful and seemed impossible at times, I’m thankful that I had the opportunity to do so. Not only did I get amazing hands-on experience in event planning, but I also had the chance to assist the friendly library staff and encourage the public to get excited about reading. 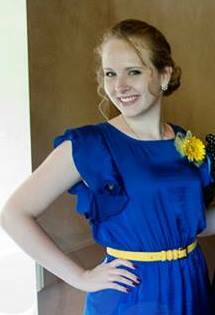 As our Summer 2013 intern, Rachel worked with Director of Marketing & Events Colleen Geletko. She had the opportunity to work on a marketing campaign and training for a local business, final preparations and coordination of a prom for students with disabilities, social media campaigns, promotion for a bike event, planning for a 2014 wedding, and event planning for a local library, as well as participate in multiple pitch meetings.